This entry was posted in Skip Allen & Painter 11 and tagged Acrylic, Artist's Oils, Bristle Spray, Brush, Brush Control, Brush making, Camel Hair, Dab, Digital Art Academy, Digital Paint Magazine, Eastern Water, Flat, General Palette, Haiga, Haiku, Mixer Pad, Painter Talk, Sample Multiple Colors, Skip Allen, Skip Allen & Painter 11, sumi-e, Sumi-e Painting, variant, Watercolor. Bookmark the permalink. I totally love your paintings! They are most excellent. Is there a hidden meaning in the name Arvo? I googled it, and found The Association for Research in Vision and Ophthalmology. And there is Arvo Part, a composer from Estonia. It means afternoon in Australian slang. So how about it; what is the significance of Arvo. I’ll go with “afternoon” though! As I mentioned in my post at Painter Talk, I love what you are doing with these Sumi-e brushes and the results of your experimentations. Personally, I hope this current fascination of yours lasts a very long time. Some wonderful, exciting things are coming out of this. Btw, my computer is named “Flash”. Thanks Elaina, I’m sure Kevin and Flash will get along well; except…do tell her to watch out. Kevin is fast. Who knows how long the current interest will last. 😉 I just ride whatever current comes my way. I’m very impressed with what you are doing here Skip. I look forward to learning more and seeing more of your beautiful paintings. Wow Skip I am impressed! What beautiful work. And you say you are just starting with this? My God it looks like you have been doing it for years. I probably should clarify a bit. I have been working in the arts for quite sometime. For 30 years I made my living as a potter. 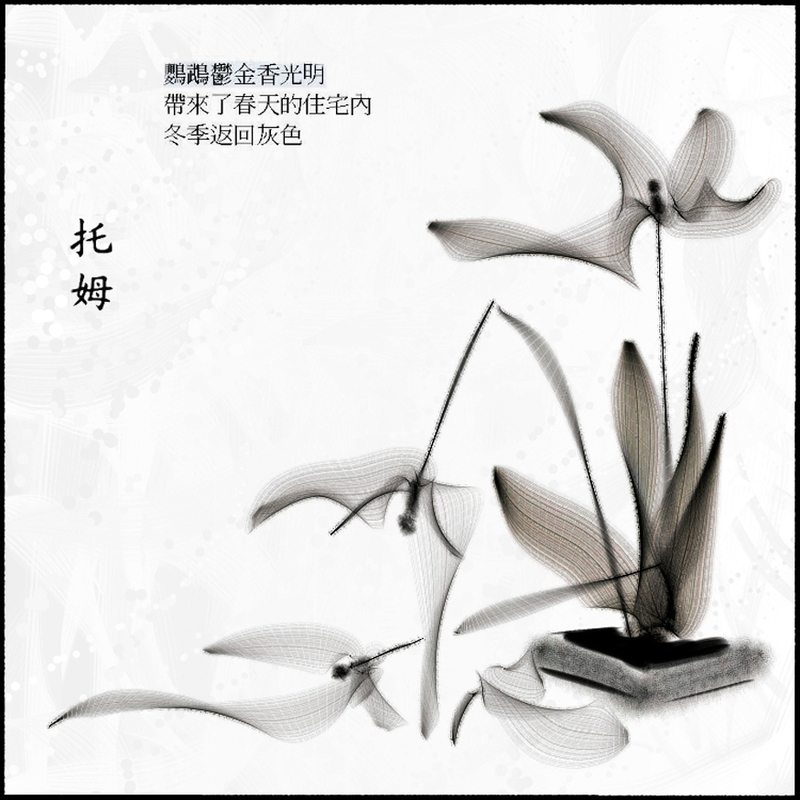 One of the surface decorations I loved to do was similar to brush painting. It was different in that I used a loose form of colored clay to apply the painting. 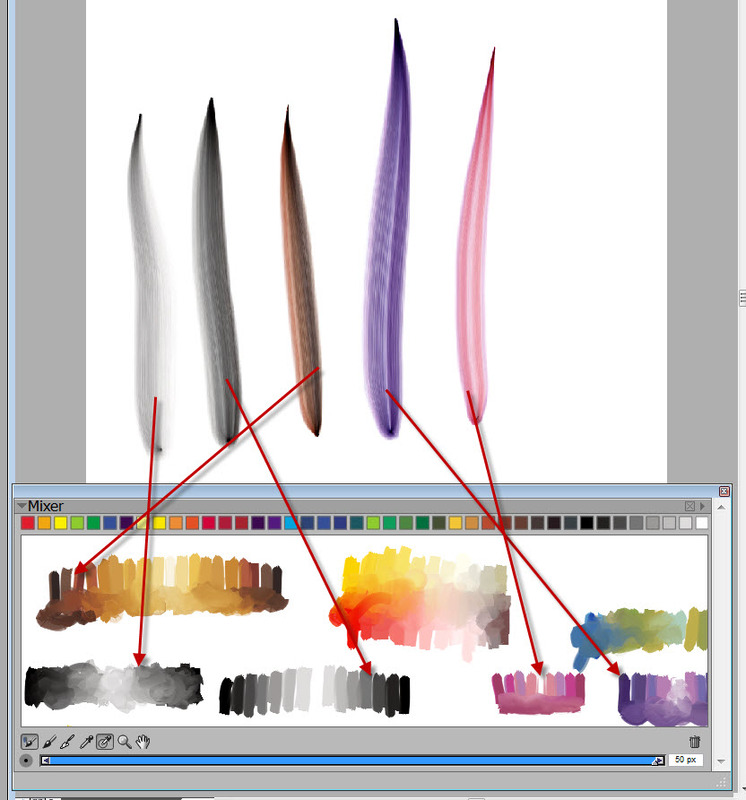 But, I used similar brushes used by sumi-e artist. It is different in the computer because I am not using ink, watercolor, clay, or bamboo brushes, but I am using computer tools that imulate the real thing. At first it was very tough getting use to working with a stylus and tablet. You make marks on the tablet while watching the screen. But one quickly adapts. For me, my experience potting and the fact that I had formal training, I have a Bachelor of Fine Arts degree, has helped me develop digital painting quickly. I believe someone who has no training could develop fairly quickly, too, thanks to the fact that the computer is very forgiving and we had an undo function. :). Depending on how you look at it…I guess I have been doing “it” for years…at least making “art” for years. I am so impressed by your work. I just love looking at it. There is so much to see on your blog, website and forums. I just love it all. I am glad you are enjoying the blog. I get a kick out of making it, too, which is a big surprise. I didn’t think I would enjoy it. These are lovely Skip , as well as the cherry blossoms . Your pottery background is delightfully evident. I also appreciate the color and General Palette explanation. I appreciate the comment and glad you are enjoying the work. You are right on with your pottery comment. It affects my work a bunch. I am much more linear in my approach than I should be. 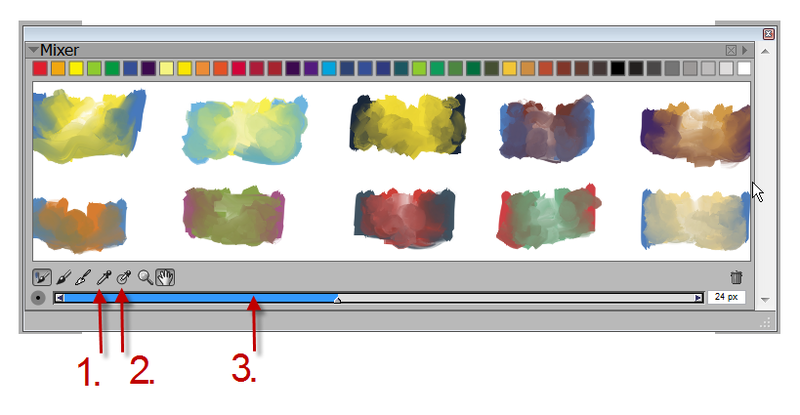 Also, I enjoy being able to work with impasto in Painter…it feels like clay. Hello, thank you very match!!! Skip, I would like to watch the Eastern Waters Webinar but I can’t find it at Painter Talk. Any idea where it is? Skip, thank you!! 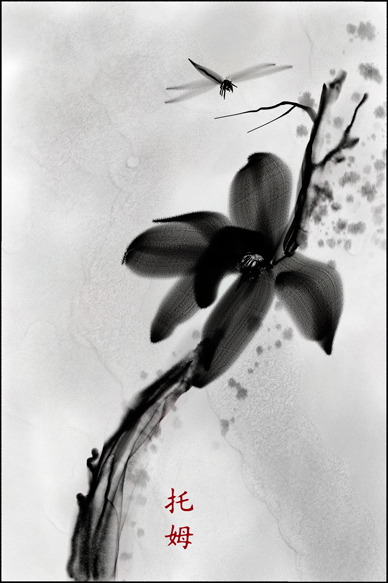 I’ve always wanted to paint in the sumi-e and ukiyo-e style – I love all things Japanese. Your videos and brushes have certainly inspired me!! I came across two color resources on Traditional Colors of Japan. Hopefully they might be of some interest for others. 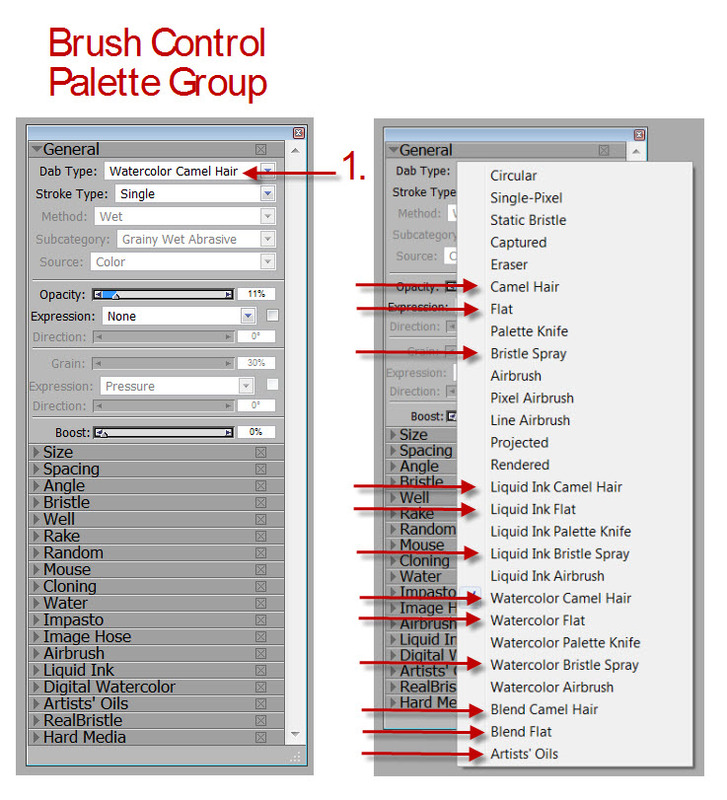 Frankly, for myself, I am quite ‘Color Challenged’ and found that the palettes were of tremendous benefit . RGB and hexadecimal values are also given for the colors. Again, thank you! Your blog is so well organized and I love looking (digging!!) in your earlier posts! !